In the year 1902, the United States Senate wanted to know the state of Philippine Railroads from Elihu Root, then Secretary of War. Root’s short reply said that it was practically non-existent1. The previous Spanish colonial government had not taken the opportunity to build better modes of transportation when it could, railroads having been built in the West since the 19th century. To remedy this, in the following years, the American colonial government began soliciting bids from private contractors for the building of rail networks around the Philippines. Among the projects eyed was a line from Calamba to Bauan through the then-town of Batangas2. The completion of this project would connect the province of Batangas to Manila, since the line from Calamba was merely a branch of the main line that went all the way to the capital. This would mean that tracks had been laid down just past the town of San Jose and there were just 12 or 13 kilometers left before the line reached the town of Batangas5. 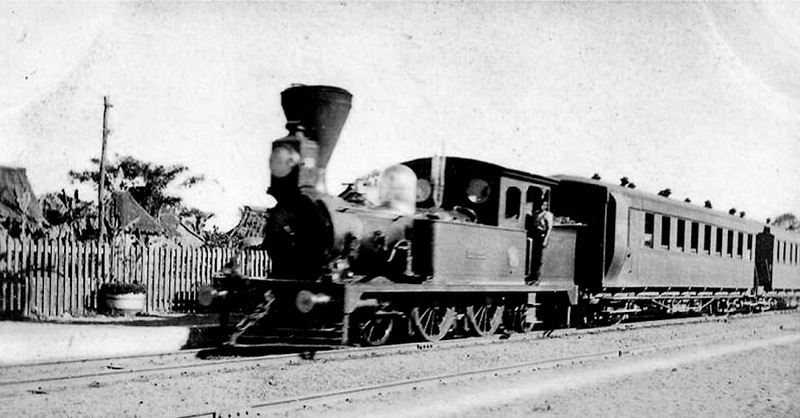 Branching out from the Calamba to Bauan line at Malvar was the Luta to Lucena line, some 74.5 kilometers of tracks6. Among the beneficiaries of the line’s opening was the Province of Batangas’ orange growing industry. The orange in question is either of two species of mandarin oranges native to Southeast Asia – the dalandan (citrus aurantium8) or the smaller dalanghita (citrus reticulate Blanco or tangerine orange9). Both are referred to in Batangas as sinturis. The entire province had developed something of a reputation as the “orange capital of the Philippines.” The most productive plantations were in the towns of Tanauan and Santo Tomas, considered at the time the “orange district” of Batangas7. 1 “Transportation in the Territory of Hawaii,” by L. E. Pinkham, published 1907 in Honolulu. 3 “Philippine National Railways,” Wikipedia. 4 “Report of the Governor General,” by William Cameron Forbes, part of the Report of the Philippine Commission for the Fiscal Year ending 30 June 1910, published 1911 in Washington D.C.
5 Distances calculated using Google Earth’s ruler tool. 6 “Report of the Supervising Railway Expert,” part of the 1909 Report to the Philippine Commission. 7 “Citriculture in Tanauan,” by Encarnacion R. Buendia, published 1926, online at the H. Otley-Beyer Collection of the National Library of the Philippines Digital Collections. 8 “Dalandan,” online at the Philippine Medicinal Plants. 9 “Dalanghita,” online at the Philippine Medicinal Plants.